If you visit Chicago today, the most exclusive and luxurious part of the city lying right on Lake Michigan (including the Magnificent Mile to Lake Shore Drive, the Gold Coast, Navy Pier, Oprah's apartment, John Hancock Center, etc. ), the area with all the upscale shops and businesses is known as Streeterville. 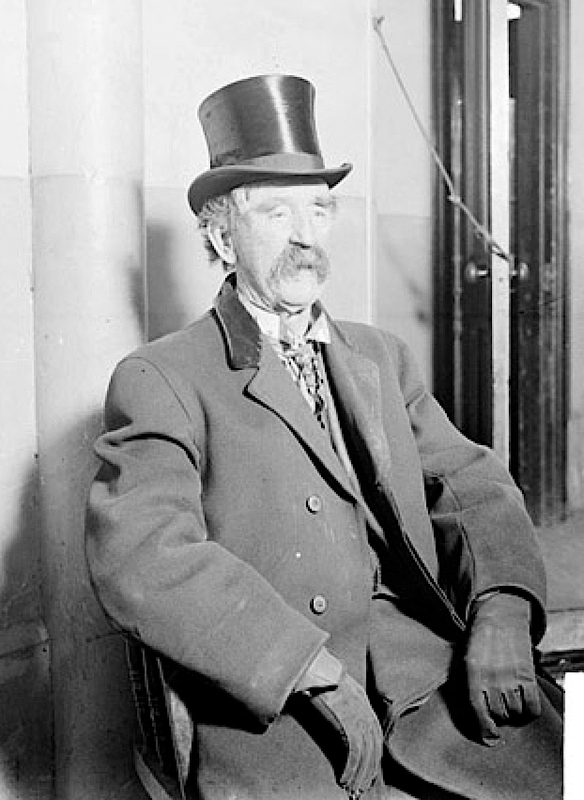 It may surprise some then that Streeterville's founder and namesake was an eccentric drifter, showman, aspiring gun runner, squatter and land baron. George Wellington Streeter was born on a farm near Flint, Michigan in 1837. As a youth, he held various jobs around the Great Lakes as a miner, lumberjack, fur trapper, ice cutter, and sailor on vessels in Georgian Bay off of Lake Huron. He married his first wife, Minnie Waters, and then traveled West as a pioneer in a covered wagon, but returned to Michigan just before the Civil War. During that conflict, he served as a Private in Company C, 15th Michigan Infantry, and among others saw action at the battles of Nashville and Missionary Ridge. After the war, he formed a traveling circus with a large collection of animals, marionettes, and a Hindu Mystery Professor. When the circus became stranded in Indianapolis in 1867, he sold it for $5,000. His wife left and joined a traveling vaudeville troupe, so he married secondly, Lavina Walters, and George decided to take up a completely different profession. With the profit from the circus sale, he entered the steamboat business and ran vessels on the Mississippi, Ohio, and Tennessee Rivers. 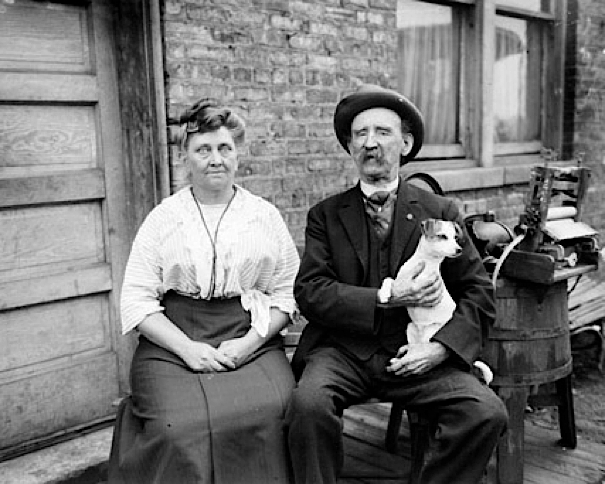 He built a new boat and married a third time, Maria Mulholland. The two settled in South Chicago in 1883 and George got to work building a new boat, the Reutan, on the Calumet River. Once completed, there was rumor that the couple was planning on running guns to Honduras, but before taking the ship to Central America, but like so much in Streeter's life, I could not ascertain if there was truth in this story. 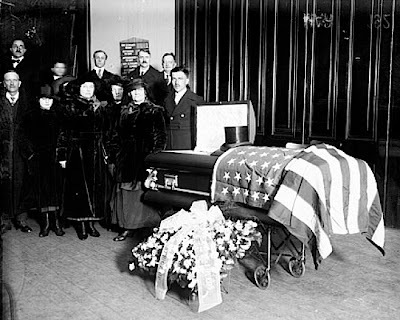 On July 10, 1886, George was moving the Reutan from the Calumet onto Lake Michigan when a storm arose and he ran the ship aground on a sandy rise about 450 feet off the Chicago shore. 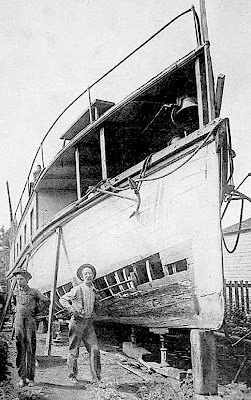 The ship was so battered, that Streeter left the vessel in place as he tried to repair it. Due to the silting action of the waves, his boat was soon surrounded by sand and Streeter built a landing to allow him to travel to and from Chicago. Checking his navigation charts, Streeter stumbled upon his unique situation. His vessel was stranded outside the city and state boundaries, so he laid claim the land by the right of discovery and also by laws allowing Civil War veterans to homestead on heretofore unclaimed land. He declared his domain the United States District of Lake Michigan. Ever the entrepreneur and eager to expand his claim, Streeter was always looking for ways to make money. 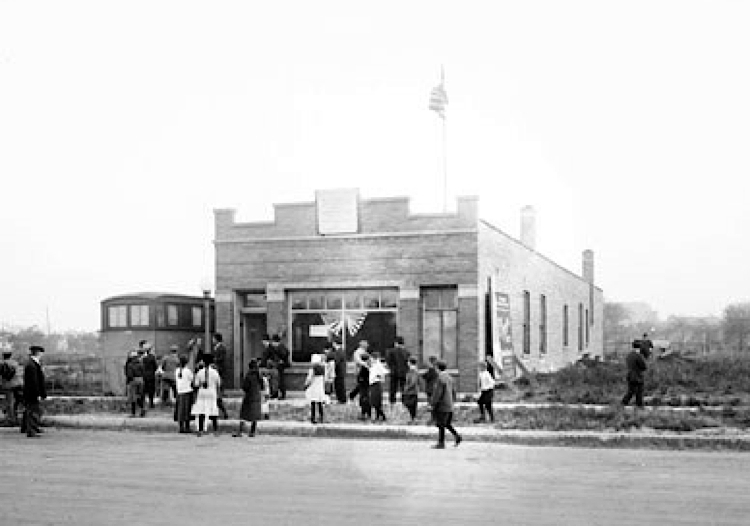 The city was finally rebuilding after the Great Chicago Fire and construction was booming. Contractors were looking for places to dump debris and for a sum Streeter allowed them to pile it up around his stranded vessel on the sand bar. 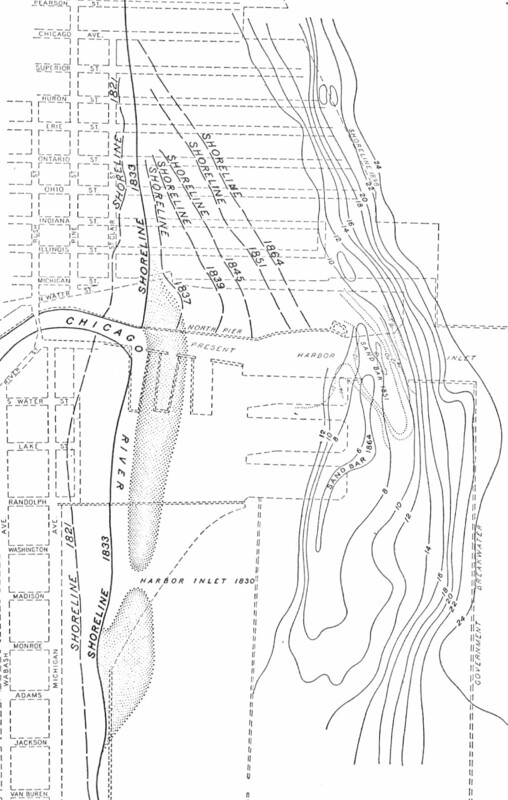 Before long, the backfill and rubble had grown to a whopping 186 acres and stretched all the way to the Chicago shore (angering the wealthy land owners who had previously owned shoreline property). Dressed smartly in a top hat and coat, Streeter then rented or sold deeds to poor homesteaders from an office he rented in Chicago's Tremont Hotel. 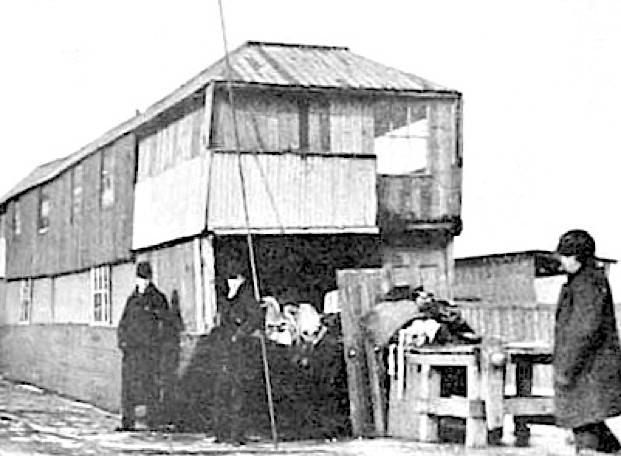 Soon the area was populated with hobos, fellow squatters, and prostitutes. 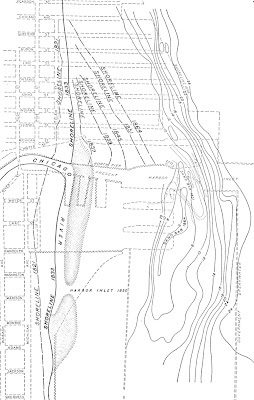 Several property owners (among them the industrialist N. K. Fairbank) sued Streeter over riparian water rights and won in Illinois State courts, but Streeter holding that he lay outside their jurisdiction refused to vacate his District. 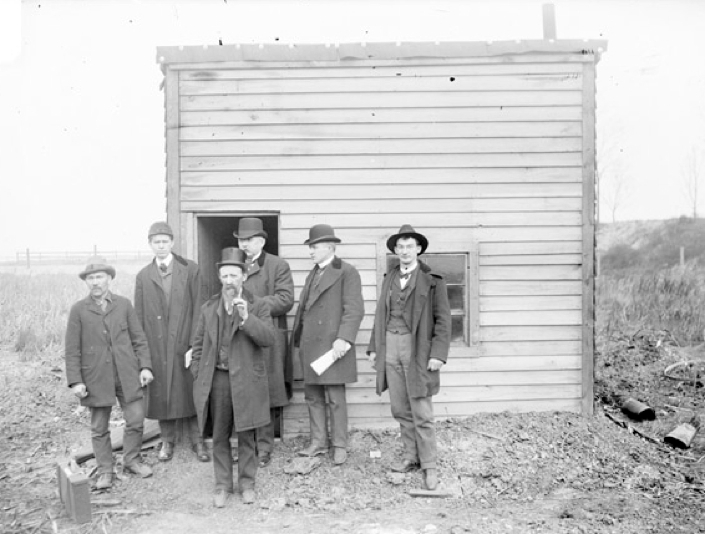 Their claim was that Streeter was squatting on his property, but Streeter noted, ""When I come here ther warn't a particle of land for me to squat on!" Correctly believing that Fairbank would attempt to remove his boat, Streeter had previously exchanged his previous houseboat for a two story converted dwelling near where his boat had grounded. 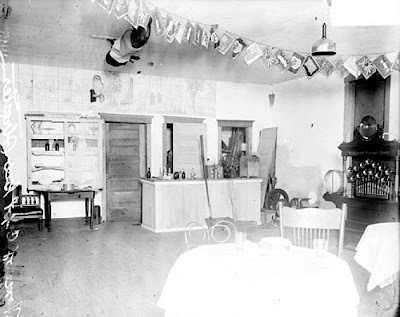 The living quarters were on the second story and the ground floor became a kind of war room. It even contained a ladder that could be raised. In July 1888, five policemen came with an eviction notice, but were driven off by his sawed off musket filled with bird shot. The next month, several more successfully caught Streeter until his wife threw boiling water on the men allowing George to grab his gun and again chase them off. At one point, an army of 500 officers were even repulsed by an even larger contingent of hobos defending their landlord whom they called "Captain." Over the years, Streeter seemed to best the law every time. For his defensive activities, he was acquitted for various reasons. Sometimes his actions were deemed self-defense, once it was found that the bird shot he fired was not lethal, still another time Streeter claimed that a party of one (himself) could not be held liable for not dispersing as that would require more than one person. During the Columbian Exposition, Captain Streeter refloated the Reutan and ferried passengers between Streeterville and the fair and things were looking good for a time. However in 1902, Streeter's luck appeared to run out. He was convicted of the murder of John Kirk, a hired gunman sent after Streeter and was sentenced to life in prison. Streeter claimed he had been framed. While in jail, his wife Maria died, but nine months after his conviction, Governor Yates sided with Streeter and pardoned him. Streeter married a fourth time, to Elma "Ma" Lockwood, as fiery a lady as his former wife and they resumed control of his District. Lawsuit after lawsuit came, but Streeter was able to hire legal assistance by offering deeds to property in his District. 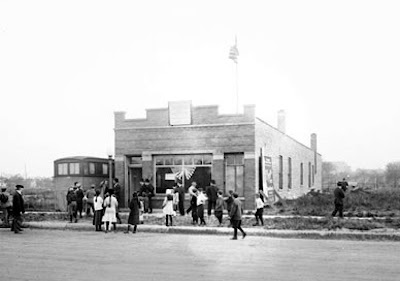 Streeterville had become a nuisance to the growing city and the leaders eventually tired of this lawless area front and center. 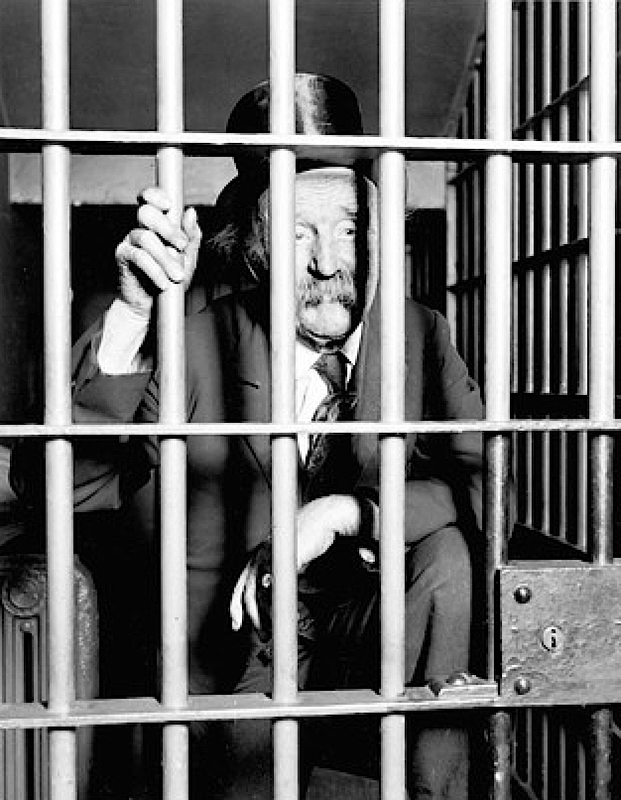 In 1918, Streeter was arrested for selling liquor on Sundays. During this raid, men hired by the Chicago Title and Trust Company burned his home to the ground. 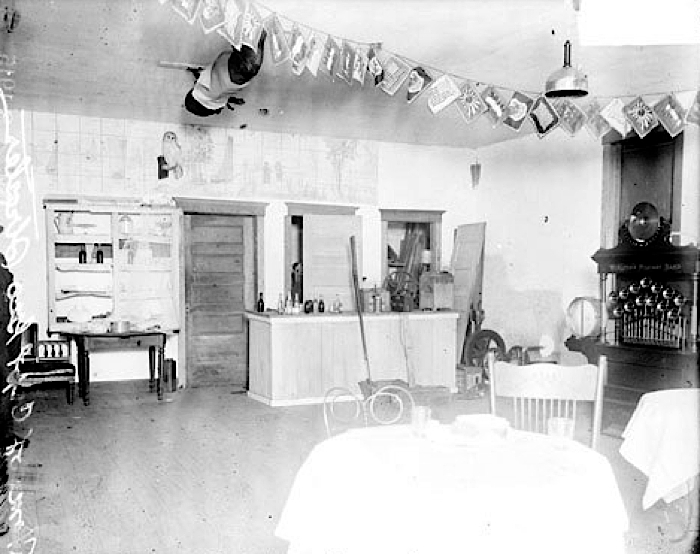 "Ma" Streeter charged the group with a meat cleaver, but they were forced to retreat. Streeter was indignant stating, "This here is an outrage! It's worse than the Kaiser ever did." 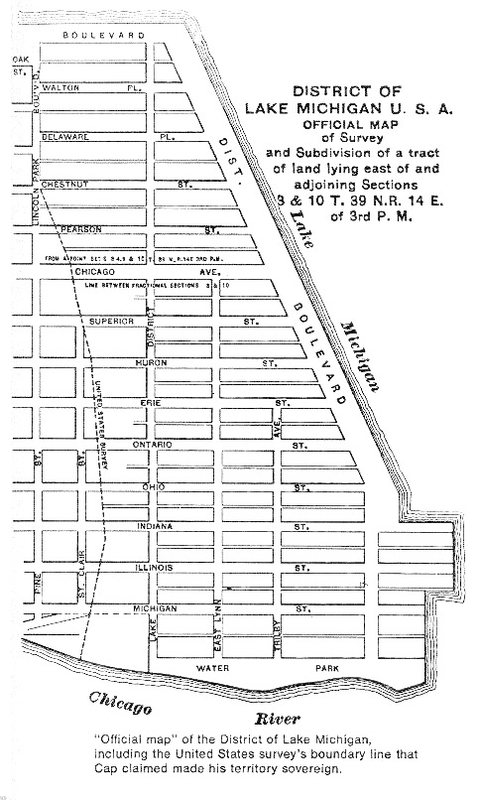 Now off their land, the Streeters were again living on a boat and with Captain removed, clearing and development began in earnest in Streeterville. 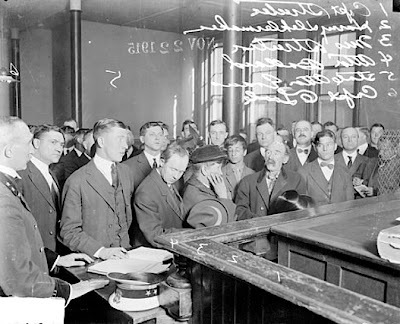 Streeter continued his lawsuits until his death in 1921, even introducing forged documents from President Grover Cleveland. Now a bit of a Chicago legend, his funeral was attended by a number of dignitaries including Mayor Thompson. 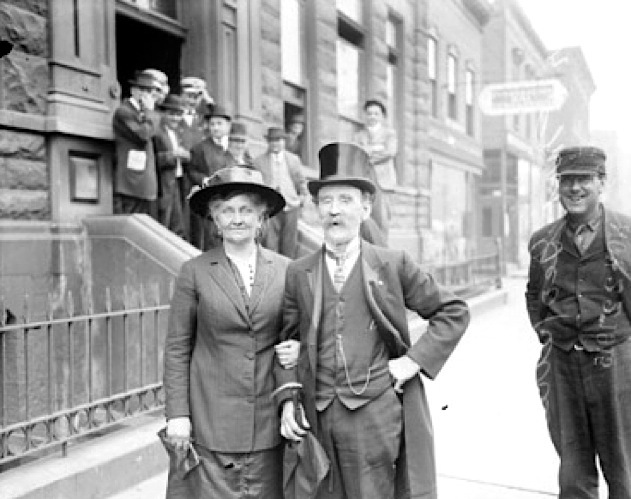 In 1924, "Ma" Streeter filed a claim of one billion in damages against the new property owners, but the next year her claim was dismissed by federal courts that ruled that since George's first wife had abandoned him, but not divorced his subsequent marriages were invalid. Streeter descendants continued to file claims until 1940 when the last claim was dismissed. What a fantastic story. It should be made into a tv series. there have been some really extraordinary people who founded the U.S. Thank you. Oh, the things I never learned in school. Very interesting. Thanks, Nate. Great story. Defended by a hobo army. Today Streeterville is home to some of the most expensive real estate in Chicago. 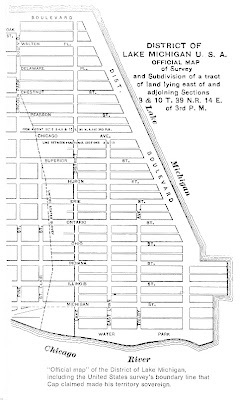 Talking about expensive real estate; I wish one of my ancestors had owned (and kept) a piece of southern Manhattan. You'll enjoy this song about "Cap" - thanks for a great blog post!